Bees can mean different things to different people. But there’s no denying that bees are a major part of our ecosystem. The decline of bees could very well mean the decline of the human race. And with the problems of the world like pollution, contamination, and global warming, bees are having a hard time trying to survive. Is it a lost cause? Are we going to drive them extinct? And ourselves in the process? The good news is we are aware of the problem. And with the right steps, we can get our bees back doing what they do best. And save ourselves and the planet. Starting your own bee garden is the step in the right direction. How do bees help us? How do bees work their magic? What are the benefits of bee gardening? What are some beneficial plants for bee gardening? What are some plants that are bad for bee gardening? Can you combine bee gardening with a vegetable garden? What are the requirements of a bee-friendly garden? Bees are those tiny, flower-feeding insects you may see hovering over flowers in your garden. You may be familiar with the typical yellow colored bee seen in movies or magazines. But there are 20000 species of bees that can have different shapes, sizes, and colors like black, brown, gray, yellow, green, or blue. Many but not all bees tend to live in a hive as a community. Others live in holes found in trees or the ground. And some but not all of the bees produce honey. The bees that live in a colony include a queen bee, worker bees, and drones. There is one queen bee in a colony and her job is to lay eggs. She can live for a span of three to five years doing this work. The worker bees are female bees that are infertile but do all the heavy work of gathering pollen and nectar for the hive. They also clean the hive and take care of the larvae. These bees can live for about six weeks. The drones are the male bees whose job is to mate with the queen to produce eggs. But they die soon after their job is done. The bees have five eyes and can use them to detect all types of colors except red. This helps them to find flowers that contain the necessary nectar and pollen for their needs. There are plenty of benefits of bees some you may be aware of and some that may surprise you. You already know bees provide us with products like honey, beeswax, and bee pollen. Honey is the sweet, sticky syrup that bees produce when they regurgitate nectar in their mouth and pass to each other. It’s the best natural sweet food you can find that is good for your health over something made by humans like high-fructose corn syrup. Honey is known to have beneficial anti-bacterial properties that are used to protect you from illnesses. It also has its use in beauty products such as anti-wrinkle and skin softening products. Besides humans, there are animals like bears, some birds, possums, and insects that survive eating honey and the bee larvae rich in protein and nutrients. Bees also provide beeswax that is used to make candles as well as used to protect food such as covering cheese for protection. The world needs bees and there’s no doubt about that. Bees pollinate about 80% of the edible plants that make it to your grocery store. This includes fruits like apples, blueberries, cantaloupe, watermelon and vegetables like asparagus, broccoli, pumpkin, and cucumber. Imagine the limited choice of edible plants you would get if the bees were not here. Imagine the chaos that would lead to in the world. Bees help to protect the economy of the world because they help produce one-third of the food in the world. There are many plants that rely on bees for their pollination. This means that without the bees there would be no such plants. And without such plants, there would be no animals and insects that feed on those plants. Flowers are what make the landscape of our planet beautiful. And most of these plants need bees to help with their pollination. The flowering plants are not just for their beauty. They help attract animals, birds, and insects that consume such plants and thrive. Without such plants, these organisms would cease to exist and have a drastic effect on the human population as well. Bees have wonderful tools that help them gather nectar and pollen. They can see colors like yellow and blue and are attracted to flowers that have them. They also have antennae that can smell the scent of nectar and point them in the right direction of the flowers. Once a bee spots a flower it goes there and starts collecting nectar. The pollen from the male part of the flower known as anthen sticks to the hair on the bodies and legs of the bee. As it moves to the other plants and flowers, some of this pollen falls off into the female part of the flower known as the stigma. That’s when the plant can start to produce fruit with seeds. The amazing part is that the bees remain loyal to the flower and the location. They invite other bees from their community by forming a sort of dance pattern that attracts them there. Bee gardening simply means providing bees what they want in your garden. This includes flowers that attract them for pollen and nectar. This also means providing them with shelter and water as they do their work. What’s going to make an attractive bee garden? It’s flowers that have the pollen and nectar they need. And it’s known scientifically that plants and flowers are pleasing to animals, insects, and humans. The color and variety of the plants will help soothe your mind and body as you move around in your bee-friendly garden. Watching the different types of bees move around in your garden will make you feel more close to nature. Bees are active from the moment it starts to get warm to the beginning of the cold season. That means your garden will need to be rich with flowers throughout the growing season, unlike the regular gardens that remain attractive just for a short period of time. This benefits your mental and physical health for a longer period of time than a regular garden would. Your garden needs to have the right plants to be able to attract bees. And such plants don’t just attract bees, they attract all sorts of predatory insects as well. And these predatory insects can get rid of the pest insects that destroy your plants. 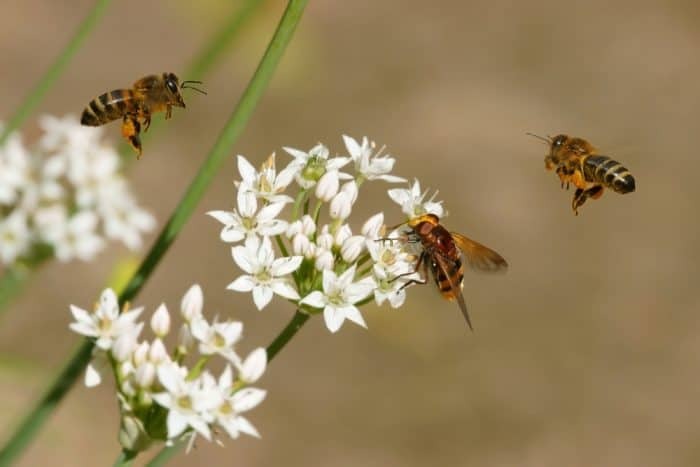 A bee-friendly garden with native plants can attract 80 percent predatory insects and 20 percent pest insects which maintains a good ecological balance. The problem with traditional gardens is the ratio turns opposite and they have 80 percent pest insects and 20 percent predatory insects. This problem occurs because we tend to use non-native plants that tend to attract more of the pest insects. Having a bee garden with native plants also attracts other pollinators such as butterflies, bats, birds, and animals. They play a great role in maintaining the ecological balance as well. The birds will also feast on the pest insects and keep your garden free from them. Since your garden will be free from most pest insects it will also get rid of the diseases that such insects carry along with them. And your bee-friendly garden won’t need to use insecticides and pesticides that wreak havoc with the entire ecological system when they seep into the water sources and damage aquatic and animal life. About 70 percent of the world’s food grows because it’s been pollinated by insects and animals. And 30 percent of this is done by the bees. So if you want to have a variety of food on the table you need to give bees the garden that they want. The foods that bees pollinate includes apples, blueberries, cucumber, broccoli, watermelon, almonds, citrus fruits, and a lot of others. A bee garden can be grown in a rural or urban area but it helps the bees regardless of where you grow them. 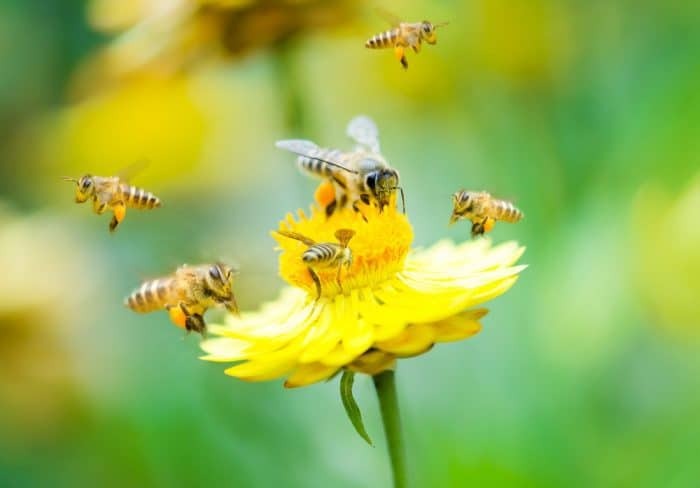 The bees are much better pollinators than the other insects and animals like wasps, butterflies, bats because they are tailored to carry the pollen for their needs. And as part of it, they deposit the pollen in the plants and cause fruits to develop. The native bees are much more efficient than honeybees because they work for a long season from the time it gets warm to the time it starts to get cold. They are working when the weather is cold and raining outside while honey bees are safely huddled in their hive. There are different types of plants you can use for your bee-friendly garden. This could include annuals, perennials, biennials, shrubs, and trees based on preference. There are many such plants that are long-blooming so that your garden can contain flowers and attract bees for a very long time during the season. The type of plants you use also depends on the color that you want in your garden whether you prefer white, or pastel colors, or bright primary colors. Bees can see in the ultraviolet end of the spectrum and are attracted to colors like white, blue, yellow, and pink. Before you choose the plants for your bee garden make sure those plants can thrive in the soil and climate of your area. The plants in your bee-friendly garden will attract a variety of bees based on their size, shape, color, pattern, and how easy it is to access the pollen and nectar. Honeybees can prefer plants that originated in regions like Australia, New Zealand, South Africa, and South America. They may also be attracted to plants from the Mediterranean because honey bees originated there. But native bees will not find these plants as attractive and so you’re better off growing some native plants that they have a liking for. Annuals are plants that grow in a particular season such as summer or winter. The main work of such annual plants is to grow, produce as much flower and seed as possible during the season, and then die. This makes them very attractive to the bees because they provide a lot of flowers which means a lot of pollen and nectar. The annuals can be hardy which means they need winter to grow successfully. If your zone lies in the cool region, it’s possible to grow such hardy annuals in spring and fall as well. The other annuals cannot survive the frost and need warm weather to grow. This means you can grow them after the frost in spring and summer. To grow such annuals, you need to have good friable soil, good weather they need, and water. It’s good to use compost for growing annuals as it makes the conditions easy for their growth. You can mix up your annuals with perennials so you can create a bee-friendly garden that blooms throughout the year. Some hardy and half-hardy annuals include bachelor button, black-eyed Susan, blanket flower, borage, California poppy, Honeywort, Pincushion flower, and Viper’s bugloss. Some tender annuals include Basil, Cilantro, Cosmos, Mexican sunflower, Spider flower, and Sunflower. Perennials are plants that grow for a few years compared to annuals that only grow for a particular season. They can grow for one year and die the next or grow for several years before they need to be planted again. The life of the perennials also depends on the type of plants and whether they can survive the winter in your area. If they can’t then they behave like annuals and you need to plant them every year. Most perennials will die to the ground in winter then come back again in spring. There are perennials that have more than one blooming season. They will bloom in spring, take a break midsummer, and bloom again in the fall. Some examples of bee-friendly perennials for your garden include Anise hyssop, Aster, Bergamot, Black-eyed Susan, Blanket flower, Butterfly weed, Calamint, Catmint, Coreopsis, Dahlia, Sage, Culver’s root, and Lavender. Biennials are plants that grow for one season, overwinter, bloom, then set seed the next season, and die to complete their biological cycle. There are many biennials you can plant in your bee-friendly garden. This could include angelicas that are known to attract bees and beneficial insects. They tend to grow plenty of flowers that provide the bees with lots of pollen and nectar. This means bees stick around these plants a lot and give you a good opportunity to watch them. Clary Sage is a biennial that is attractive to carpenter bees who are strong enough to get to the pollen inside the flowers. Bumblebees love the foxgloves that grow in several places in North America. Cactus can make your garden bee-friendly and beautiful at the same time. They are not plants that just grow in hot, dry climate but you can find cacti that grow in freezing as well as humid climate. One such cactus is the prickly pear that you can find in a variety of color and shapes. They can be short or grow up to 10 feet tall. They bloom with beautiful flowers in abundance and colors like yellow, pink, red, or burgundy that is attractive to bees. These prickly pears are very easy to grow and propagate. To propagate, you can cut a pad at the base and bury it halfway into the soil. Shrubs can provide character and dimension to your garden in any season. That’s because foliage and bark can make your garden attractive even if it’s not blooming. And when they bloom, the shrubs provide a large number of flowers that make them attractive to the bees for their pollen and nectar. There are different types of shrubs you can get which could be deciduous and lose their leaves in winter or they could be evergreen. You can get shrubs that flower in spring, summer, fall, and winter. The shrubs can be small or they could grow as large as small trees. You should be careful to pick the right shrub for the space in your garden because they grow slowly and need more maintenance than other plants. For some shrubs, you may need to remove the flowers in summer so that they can rebloom again. The flowers of shrubs could be attractive to beneficial insects and their berries could also attract birds. Some examples of shrubs you can grow in your bee-friendly garden include Chaste tree, Chitalpa, Coffeeberry, Cotoneaster, Desert willow, Escallonia, Grevillia, Holly, Hydrangea, Redbud, Strawberry tree, Summersweet, and Wild lilac. Trees can act as a good attractive source for bees in the garden because of the area of flowers that they provide. You can get trees that range from a few feet tall to a 100 feet. The ones you choose should be based on how beneficial they are to your garden landscape and how well you can take care of them. Some trees grow very slow while others grow fast but their wood tends to be weak. The trees also provide nesting grounds and fruits to the birds and insects. Some bee-friendly trees you can plant include Acacia, Crabapple, Hawthorn, Japanese maple, Magnolia, Basswood, Black locust, Chinese tallow tree, Holly, Red maple, Willow, and Tupela. Not all plants produce flowers that are attractive to bees. There are some new breeds of flowers that don’t produce pollen or nectar that the bees are looking for. Some of them may produce pollen but the flowers have so many petals that the bees find it difficult to reach the pollen. People select plants that have been modified so that bees don’t visit them. They plant these near their pools where they don’t want the bees to visit. These plants may either not flower or they don’t produce nectar when they do. Some plants that are not attractive to bees include Canna, Daylily, Ferns, Fig, Gazania, Grasses, Hop bush, Japanese laurel, Maiden grass, and Sago palm. Then there are some plants that produce pollen and nectar that is toxic to the bees or their larvae. This includes plants like Death camas, California cornlily, and California buckeye. You need to be careful not to plant these in your bee-friendly garden. An edible garden can benefit a lot from inviting bees to it. That’s because there are a lot of edible plants that need pollination by bees so they can produce fruits. Some such plants include vegetables like cucumber, squash, fruit like melon, and nuts like almonds. The fruits and vegetables that are pollinated by bees tend to be larger and provide an abundant harvest. There are some plants that are self-fertile which means they can produce and accept their own pollen. All they need is for the pollen to move from the male anthers to the female stigma. This is possible when the wind carries the pollen or bumblebees vibrate the flowers and the pollen falls from high up in the flower. To pollinate food plants, native bees are the most efficient because they move about early in the morning and late in the evening when the weather is cool or rainy. Honeybees don’t like the weather when it’s cold and they tend to stay in their hive. The development of fruits depends on how well the pollen reaches the female stigma. Bees are the best carriers of such pollen because their hairy bodies carry the pollen to the flowers they visit. Vegetables like leafy and root ones don’t need pollination to be ready for harvest. But if you want to save seed for the next season they need to undergo pollination. Flowering plants are a great companion to vegetable plants that can help support pollination by bees. That’s because they need the same loose soil that vegetable plants need. Such annual plants will help keep your vegetable plants free from pests while adding beauty to your otherwise green garden. It’s better to plan annuals than perennials because pests like snails, slugs, and earwigs tend to get shelter in the perennials and mess up your vegetable plants. You could plant the annuals along with the vegetable plants or you could plant them at the end of every row of vegetables. Herbs also can play a good role to attract bees and help in the pollination of your vegetable garden. They come in a variety of shapes, sizes, flowers, and fragrances. The herbs can be annual or perennial depending on your choice. But they need good soil and water just like your vegetable plants. You can plant the herbs together with your vegetables or dedicate a portion of your garden to them based on your liking. Some annual herbs include Anise, Basil, Borage, and Cilantro. And perennial herbs include rosemary, thyme, sage, lavender, and fennel. Bees of several varieties find berry plants attractive because of the nectar they produce. You can use berry plants like raspberries, blackberries, cranberries, loganberries, and strawberries to attract bees in your garden. The berries could be self-pollinating but when bees visit them, the berries tend to be larger, firmer, have fewer deformities, and a longer shelf life. Bumblebees tend to be good for pollinating blueberries because they vibrate flowers that help grow larger and more of the berries. A lot of fruit trees require pollination by bees so they can grow fruits like apples, cherry, apricot, pears, peach, and plum. There are trees that are self-pollinating but there are several others that require cross-pollination and that’s where the bees can help. That’s when having a bee-friendly garden helps you grow fruits in case you have such trees in your garden. The native bees are much more efficient than honey bees when it comes to collecting pollen and nectar and moving among flowers for pollination. Many fruit trees just bloom for just two or three weeks so you need to grow other bee-friendly plants in the garden for the entire growing season. You can consider growing such plants under fruit trees but you need to be careful they can tolerate foot traffic and other activities taking place. Creeping thymes and marjorams are a good plant you can use under your fruit trees because they are low, dense, can grow in shade, and withstand raking. Once you know the type of plants you want to grow for your bee-friendly garden, you need to determine the other factors involved. This could include ensuring plenty of flowers blooming throughout the growing season, sufficient patch sizes, sunny spaces, water, and nesting sites. There will be different types of bees visiting your bee-friendly garden. The honeybees enjoy warm weather so they will be out during the warm seasons of spring, summer but not that much during fall and winter. They prefer temperatures between 50 degrees to 100 degrees Fahrenheit. If you live in a region that has warm days in winter, the honeybees will be out collecting pollen and nectar so you do need to have plants that flower in winters such as cacti and shrubs. Native bees are much more resistant to cold and they will be doing work in the seasons of spring, summer, and fall. That’s because they have a larger size and fur that protects them from the cold. They start this work from early spring until late fall. The idea with a bee-friendly garden should be to have at least 10 types of plants blooming in one season. You can pick a plant that you prefer for its flowers and determine the season it blooms. Then pick a group of plants that bloom in the same season. Once you’re done, pick another group of plants that flowers in a season earlier or later than the previous group. Keep doing this until you have a group of flowering plants for each of the seasons in your region. It’s best to keep a mixture of annuals, perennials, shrubs, and trees in your bee-friendly garden because it makes the garden interesting for yourself and the bees. It’s important to grow a variety of flowering plants in the bee-friendly garden because it provides the bees with a variety of pollen and nectar and is good for their nutrition. However, when bees set out on a foraging trip they like to visit a single species of the flowers at a time. Studies have shown that a 3 x 3 feet patch of flowers works great to attract bees out for forage. That is why it is important that you plan your garden with patches of the same species of flowers otherwise the bees might not be interested. This is easy to do with trees and shrubs because they provide a large flowering area good enough for the bees. The same can be done with perennials and annuals by planting sufficient plants in a single patch. If you don’t like to design your garden in patches you could combine the plants with other plants as long as you keep a repeating pattern so that there are sufficient flowers of the same species to attract the bees. It’s good to have a variety of plants in the garden so that the bees can get a variety of pollen and nectar. This is helpful to provide the bees with a good nutrition profile. The more species of bee-friendly plants you can plant in your garden the better it is. You should have at least twenty different species of such plants in your garden. But even if you cannot manage that, it’s OK to grow as many as you can because it will still be beneficial to the bees. You have plenty of choices when it comes to picking colors of the flowers for your bee-friendly garden. It does not affect the bees as much as you to pick your favorite colors. Some people prefer bright colors like yellow, blue, and white while others don’t mind the darker shades. The shape and size of the flowers do affect how the bees can get access to the pollen. If the flowers have a lot of petals, it might make it difficult for the bees to reach the pollen. There are different sized bees that will visit your garden so it’s good to have flowers that vary in size so bees can access the pollen and nectar without any problems. Bees tend to enjoy the weather when it’s warm. And the same goes for the location of your plants as well. If you have your plants in areas of your garden that get plenty of sunlight, the bees will find the comfortable and attractive. It’s best not to plant the annuals and perennials under the shade of large trees because they won’t get the sun. And the trees will hog the nutrients and water from the plants. You should consider the position of the plants around your house as well. Typically, the north side of the house gets the most shade where you can have your shade-loving plants. The south and west side of the house gets plenty of sunlight to keep the plants and bees warm. The east side of the house gets the most sunlight in the morning as well as shade in the afternoon to create the perfect growing condition for a lot of sun-loving plants. There are many native bees that prefer to use nesting sites like ground-nesting or cavity nesting. These bees are not like honeybees when it comes to socializing. They tend to stay alone or with a small group of bees rather than an entire hive. About seventy percent of such bees prefer ground nesting while the remaining thirty percent prefer cavity nesting. You can provide such bees with areas where they could either create the nesting themselves or you create some yourself. These sites don’t need to be in your garden but it’s good to have them close enough so it’s convenient for the bees to travel. Bees prefer warmth so it’s good to have these nesting sites in areas in or around the garden where there is plenty of sunlight. Bees that prefer ground-nesting tend to dig holes in the soil. You might find a mound similar to an ant-nest that holds such bees. Or it could just be a simple hole in the ground. These bees can dig a hole that is two to three feet deep even though they are small in size. It’s good to have a portion in your garden where the soil is loamy, sandy, and well-draining. This will help ease the effort that the bees require to dig a hole. If you use mulch in the garden, that might make it difficult for the bees to get to the soil. So always leave a portion of the soil exposed where the bees can make a ground-nesting. Don’t try to use plastic to protect your garden from weeds because that will not allow such bees to dig a hole. It will also cause problems for earthworms and other insects to move around in the soil and assist in the decomposition process. Some of the native bees need cavity-nesting and they seek out hollow plants such as elderberry, old raspberry, or cup plant stalks. Some of these bees can drill small holes in soft wood such as unpainted arbors, fence posts, or dead trees and branches. You can leave such wood-like logs or hollow plant stems around the house or you can even drill holes in them which bees will be happy to use. Pesticides and herbicides are one of the biggest reasons for killing off bees at different stages of their lives. And using these chemicals is a never-ending cycle. You find pests in your garden so you spray chemicals. 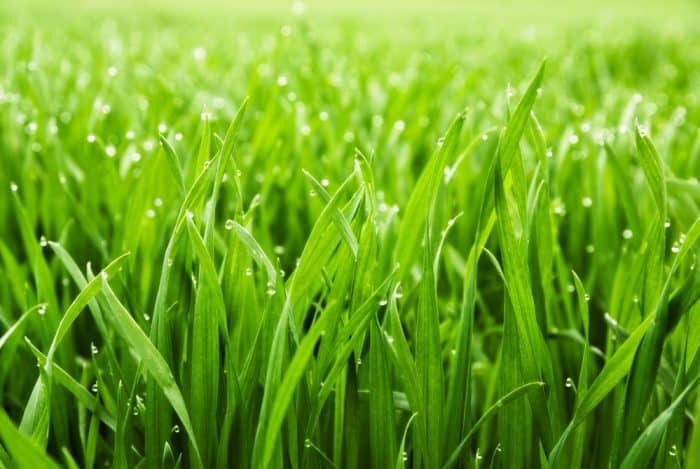 These kill all types of insects including pests, bees, and beneficial insects. The rate at which pests develop is higher than the beneficial insects. So you once again end up spraying more pesticides and herbicides. And the cycle continues. 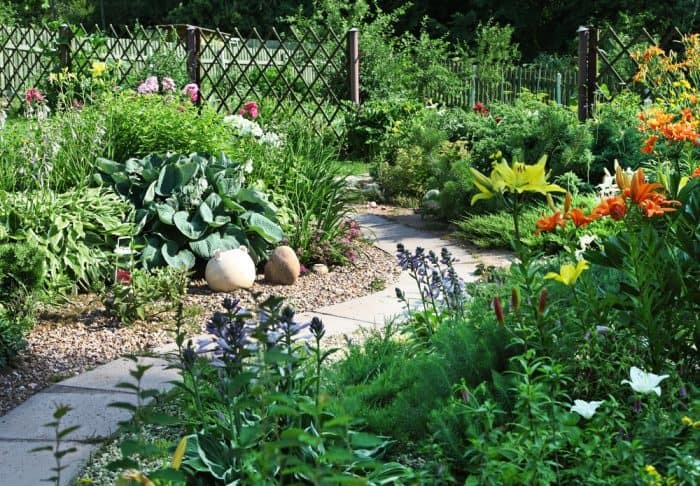 Instead, you should use organic and natural ways to get rid of pests in your garden. This includes allowing beneficial insects to thrive, growing locally adapted plants, and keeping the soil healthy. You should plant in your garden those plants that attract beneficial insects. These will get rid of the pests for you without damaging your garden. You can provide birds places of shelter in the garden. In exchange, they will feast on the pests that are damaging your plants. You should grow locally adapted plants because they tend to be more resistant to pests and diseases. They also don’t require as much maintenance as non-native plants. When you start your garden, make sure to have plenty of compost in the soil. This will help it grow strong and healthy keeping pests and diseases away. Mix the compost in the top six inches of the soil for best effect. Then every year when you plant make sure to add compost near the base of the plant so it maintains the fertility of the soil keeping it healthy. Bees need water like birds and animals and it’s best to provide them with one in the garden. Honeybees need the water to keep the hive cool with evaporation. They also use the water to dilute the honey. Native bees don’t use water for these purposes but some of them need water when creating their ground-nests with mud. Bees can access water in the garden from a pond, pool, birdbath, or bowl. But you can make sure to provide them with some safe sources so they don’t end up drowning. You can use corkboard or porous wood pieces in the water source so that the bees can find a safe landing place to access the water. You can keep a simple water bowl or bucket in the garden or you could go fancy and use a birdbath or pond in the garden. The important thing is to keep this source visible for the bees. And make sure to keep it clean and filled with water at all times. You can design a bee-friendly garden whether you have a small yard or a big one. You do need to consider the climate, maintenance, and your design needs before building one. There are no particular rules when it comes to designing your garden spaces. But it’s good that you have a combination of a functional and aesthetic design that will work for you, the plants, and the bees. The most common plan that people use is to first think about the outdoor spaces that occupy the garden. This includes the walkways in and out of the garden, the water sources like a pool, the sitting places such as benches, chairs, a patio. 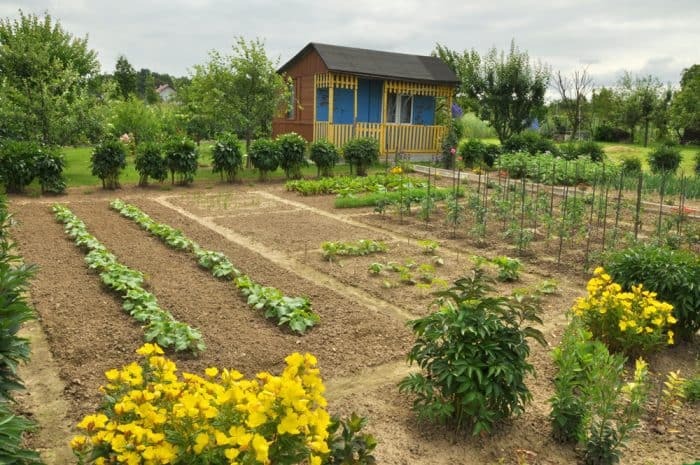 You should also consider your needs in the garden such as a garden shed. Once you have identified the outdoor spaces, you can think about the planted spaces and how to arrange them. There are some garden designs that are aesthetically pleasing but they don’t do much to attract bees to the garden. This includes planting of wind-pollinated trees like conifers that look majestic but don’t attract bees with nectar and pollen. Meadow gardens also fall in this category if they are made with non-native grasses that look good but are not functional. Such gardens will need to contain at least 50 percent flowering plants so bees can be attracted. You should also be careful with the balance of hard places and planting areas in the garden. Sometimes people focus too much on the hard places such as patios, walkways, sitting areas, and keep the plants as an afterthought. This imbalance will not work in attracting bees to the garden. The typical American garden also tends to be worst when it comes to attracting bees. It consists of a lawn and trimmed hedges that don’t do much to provide bees with pollen and nectar. There are certain garden designs that work great for attracting bees. This includes gardens with perimeter beds or island beds. You could also make a meadow bee-friendly by growing flowering plants in them. The same could be done with formal gardens as long as you plant plenty of bee-friendly plants in them. If you have a small or medium-sized garden, a perimeter bed works great to give you a bee-friendly garden while allowing you to keep a garden with a meadow, lawn, and patio. You plant the bee-friendly plants on the perimeter of the garden. This perimeter could help soften the fencing and make your garden appear larger as it merges with the neighboring trees and shrubs. You can determine the thickness of the perimeter based on your needs. The plants could include shrubs that allow flowering for the pollen and nectar. You could include a ground cover beneath the shrubs that will add more bee-friendly flowers to your garden. You can include plants like oregano, thyme, geraniums, asters, and mint in such a perimeter bed. If you don’t want to use perimeter beds, you can consider using island beds that isolate parts of your garden for bee-friendly purposes. This will also help you develop different styles and color combinations in each of those island beds. These island beds could be created as a series of rectangles and have paths connecting each of them creating a good visual effect. The island beds will help you experiment with what works in your garden when it comes to attracting bees and making it aesthetically pleasing. A formal garden can work as a great attraction for the bees as long as you plant plenty of flowering plants in them. A cottage garden tends to have a thick blanket of plants without leaving space that shows the soil. Such a garden can be made with a combination of annuals, perennials, shrubs, and grasses intermingled with each other. This makes the cottage garden very attractive to the bees with the variety of plants and a large number of flowers that bloom in them throughout the seasons. The design of your bee-friendly garden should be based on the areas such as the front and backyard. The front yard of your house is the most visible part that is quite often underutilized. It usually contains a lawn and some hedges that are not bee-friendly at all. This does not have to be the case as you can turn it into one of the most attractive features of your house. You can make a walkway from the front of the yard to the house that is straight or curved based on your needs. If you want people to move fast, make a straight one but if you want people to move slow make a curved path. You can make a wide path if you want it to appear welcoming or a narrow path if not. If you have a big garden you can add a birdbath, fountain or pool in the middle that will make one stop and enjoy the garden. You can also add some benches in the garden where people can sit and enjoy the garden along with the bees. If you want more privacy you can grow tall plants in the garden that covers up the area. You can plant shrubs on the perimeter of the garden but ensure to prune them only after the blooming season is done. The boulevard is the planting area between the sidewalk and the road. That’s a planting area quite often neglected because people trample it, dogs mess it up, and so does the heat and snow. But if done well this planting space can be made bee-friendly with plants that are robust and full of flowers in the seasons. Just make sure you don’t have plants that grow onto the road or sidewalk. The backyard should also be designed considering the hard places such as a patio, water features, lawns, and structures first. It might be important for the views you get when visiting your backyard and so have plants that make it attractive. A good amount of paths and patios will make your backyard functional and attractive to friends and family. You can place stepping stones that give access to such patios or a birdbath. The patios can be large enough to accommodate a bench and table or even a small party. When you’re designing the backyard space, you can use a hose, landscape flags, or lines made from sprinkled flour to get an idea of how it will look. Once you’re done with the hardscaping design, you can consider the planting spaces in the backyard. You can plant beds against the house and around the patio with bee-friendly plants. You can have large plants placed in front of your fences in the backyard. This will help hide the fencing and make your garden appear larger. Plants of each geographical region grow based on the climate of that region. That’s why they are known as native plants of that particular region. Many gardens tend to contain non-native plants that require extensive maintenance of the soil, watering, and pesticides to keep them growing. This makes them hazardous for the native bees. On the other hand, the native plants have a symbiotic relationship with the native bees. They take care of each other as nature intends it to be. This makes the plants strong and healthy to survive the climate and provide the bees with the required pollen and nectar. The plants will not require pesticides to protect them from pests and diseases because they are strong and healthy. And the bees can thrive without worrying about chemicals that can harm them. It would be good to have at least 50 percent of native plants in your garden. You can then observe the native bees that visit your garden for the pollen and nectar. You might already have a garden filled with plants so how can you add some bee-friendly plants? Do you need to uproot all your existing plants to do so? Thankfully you don’t need to. It’s easy to plant bee-friendly plants in your existing garden as soon as a slot gets open. This could happen in case a plant dies, becomes overmature, or cannot thrive. You do need to be careful in the choice of the plant though. Select the plant based on the group of plants that will surround it. If the neighboring plants need less or more water then your bee-friendly plant should need the same amount. If the neighboring plants need a certain type of soil whether loamy, clay or moist, the same should be the bee-friendly plant you grow in the open spot. You should also consider the color and type of flowers you would like, the type of leaves, and the bloom time of the flowers. If you have a bloom gap in your existing garden you can use the new plant to cover up that problem. For example, if you have a bloom gap in the months of July through October, you can fill this gap with the new bee-friendly plants you want to grow. You can make sure that the new plants you are growing are suitable for the space that just opened up. You don’t want the new plants to grow and suffocate the neighboring plants. Imagine waking up and watching the beautiful flowers in your garden. Imagine taking in the wonderful scent of the flowers as you walk into your garden. And imagine the bees reaching into those flowers happy to get their feed of pollen and nectar. You can make your garden bee-friendly. And without spending a lot of time and effort on it. It’s time to give back to the bees. It’s time to give back to Mother Nature. And it’s time to save the planet. Start bee gardening and become the hero the world needs.